There are hundreds if not thousands of iPhone cases on the market today, it can be tough to pick out the right cases for your needs while balancing quality and strong brands. 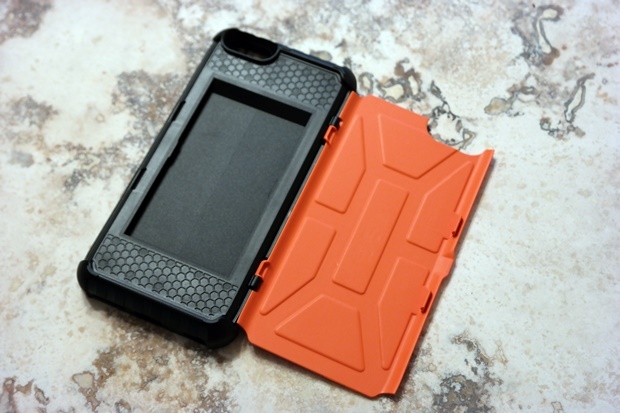 One that stands out is Urban Armor Gear, they’re one of the most reputable brands when it comes to rugged quality iPhone cases. 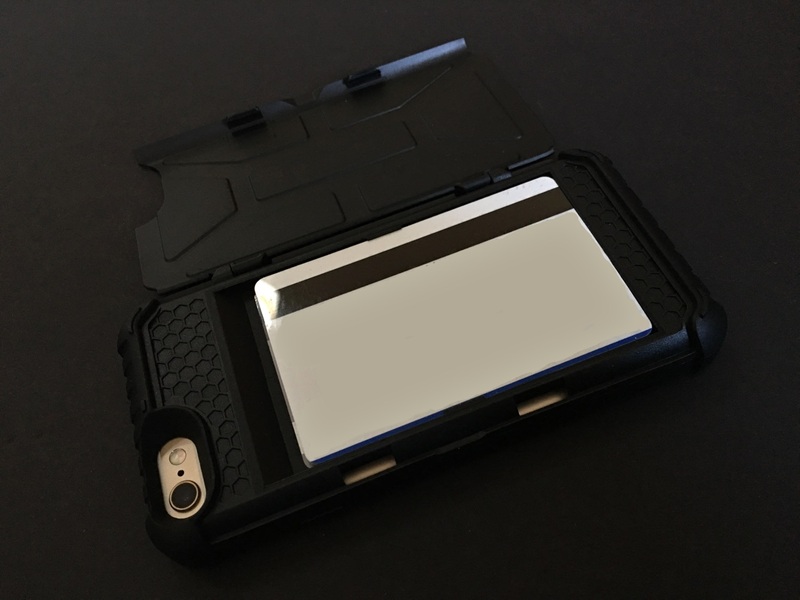 They recently sent me their Trooper iPhone case which is a rugged case with storage for credit cards on the back side. This is the perfect case for someone who doesn’t want to bring out their wallet or purse with them and only has room for a phone. The case is made out of plastic and rubber and once your phone is inside it feels solid as a tank. The case is advertised to meet military drop test standards (MIL STD 810G 516.6) but for sake of my one and only iPhone I did not test it myself. On the rear side of the case is a compartment that can hold up to four credit cards safely behind the plastic door. In my testing I was able to fit a fifth card but your mileage may vary depending on the thickness of the cards. I was a bit disappointed on the plastic backside of the case, all of the major components that keep the door from swinging open are made out of this plastic and I have fears that overuse may wear down the locking clip and may one day swing the door right open potentially losing my cards. As for the plastic door it took quite a bit of strength to get it unhooked from the clip, it was enough strength that I was in fear that I might just snap the plastic door right off. This may not be the best if you need to frequently use your cards and are always struggling with the door on your phone. My phone did feel safe in the case and I get to use it a lot when I was going out with friends and I did not want to carry a wallet with me. The case does add quite a bit of thickness to the phone, as expected, so you’ll be looking at either carrying this in your hand most the night or if you have large pockets in sweatpants or shorts you may get away with it as well. Besides the concerning quality of the plastic door on the case it was build strong and kept the required amount of cards that I like to carry with me safe and protected. I consider this case something that I’d use when I don’t want to carry a wallet with me on trips, but it’s not going to be my everyday case. I prefer something slim and protective. Use our Amazon link here to purchase it for yourself.